ST. GEORGE — “I hope people are listening, because it’s really important,” Washington County Sheriff Cory Pulsipher said during an event Thursday to kickoff a countywide “call to action” to address the harmful effects of underage drinking, some of which can extend far beyond the teenage years and could last a lifetime. 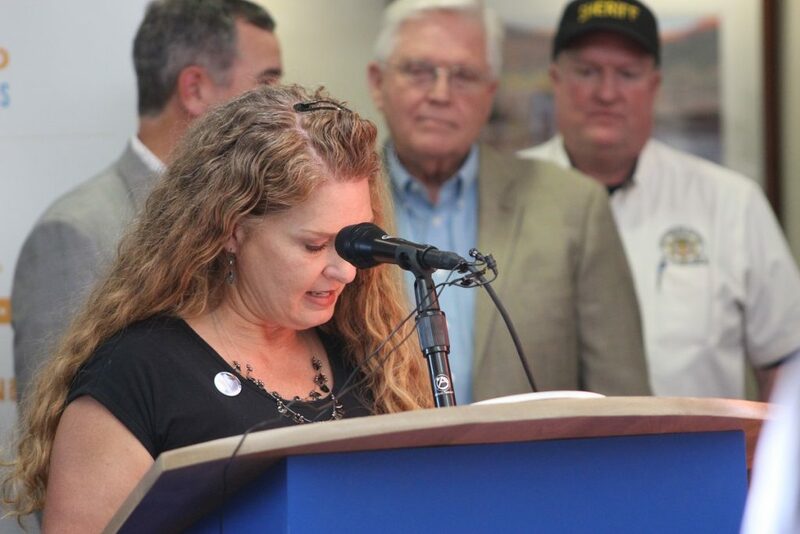 The event was held at noon in the main lobby of the Intermountain Healthcare’s River Road Clinic in St. George to introduce an important countywide initiative during a press conference that was open to the public. Intermountain Healthcare, Washington County School District, Washington County commissioners, mayors from three cities, local businesses, law enforcement and state Rep. V. Lowry Snow partnered with “Parents Empowered” to launched an underage drinking prevention initiative. The program is aimed at providing parents with proven skills to help their children remain alcohol-free and to remind Washington County residents of the negative consequences of teen drinking. Taking on a task as important as this one requires collaboration, free exchange of ideas and the pooling of resources from many different areas that come together for a common goal– keeping the youth of Washington County safe. 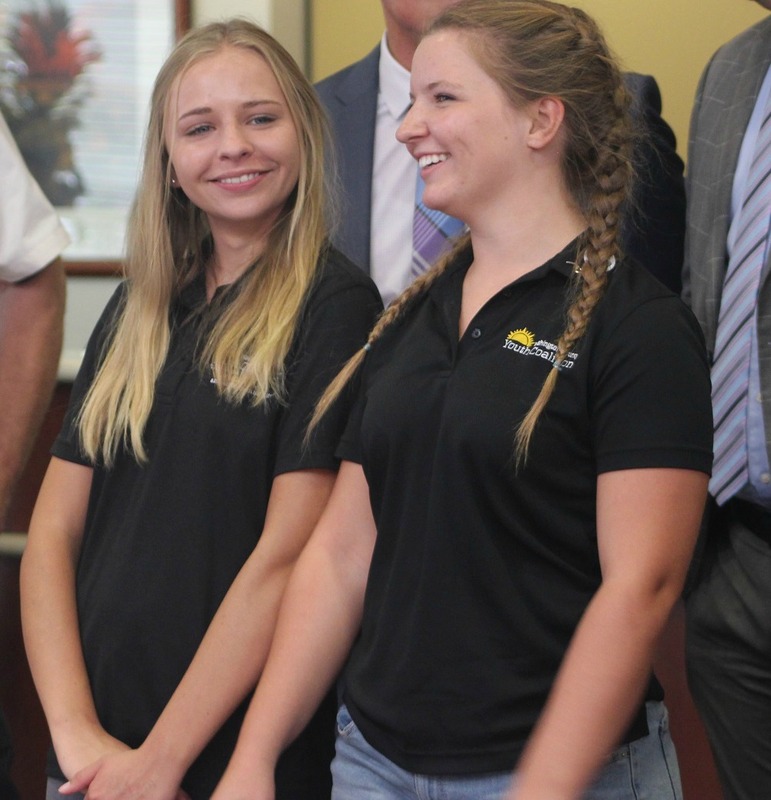 “We have gotten together to basically name this school year, ‘The drug and alcohol-free school year for the young people in Washington County,'” St. George Mayor Jon Pike said. All of the data indicates that underage drinking is harmful in the formation of the teen mind, Pike said, and the effects extend beyond neurological damage, causing social, family and economic issues that can last well beyond the teen years. “I think the coalition that includes so many agencies and organizations underscores the importance of protecting our children,” Washington County Commissioner Dean Cox said. Larry Bergeson, Washington County School District superintendent, attended and spoke during the event, reminding parents of how important their role in their children’s lives is. 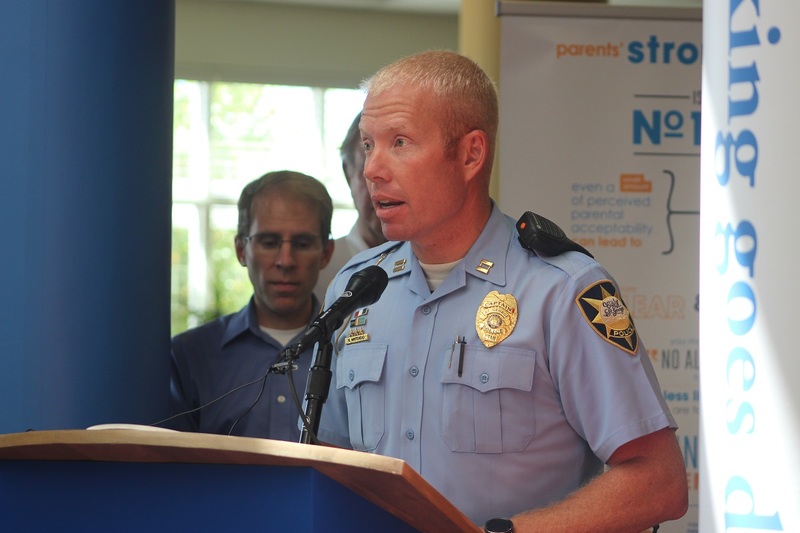 Bergeson said that parents monitoring their children, setting healthy boundaries and connecting with them are the most important elements when it comes to preventing underage drinking, as numerous studies reflect. “There is no single thing that affects more significantly the education of a student than their connection to and support from a healthy family environment,” Bergeson said. The superintendent went on to say that abundant evidence shows the importance of having a parent involved and one who is connected to their teen. Even something as simple as having dinner together three nights a week or more, if possible, significantly reduces the student’s chance of underage drinking. The school district will also support the cause by displaying 125 messages geared toward a common goal that would be difficult to miss, Bergeson explained. “Our buses are wrapped with messages to support the cause,” Bergeson said. The St. George Police Department is doing their part to deter underage drinking and provided the findings of a 2015 Student Health and Risk Prevention Survey taken by students in grades six through 12, St. George Police Captain Kyle Whitehead said. Additionally, 62 percent of the teens who admitted drinking alcohol in Washington County said they drank it at home without their parents permission or any adult supervision, and 40 percent said they consumed alcohol while at home with their parents permission. Underage drinking should never be tolerated at home, Whithead said, and parents should take proactive measures to ensure that alcohol is inaccessible to youth in the home. “We take a zero tolerance approach when we find any evidence of underage drinking and take the necessary time to address underage drinking with strict enforcement,” Whitehead said. The department’s efforts extend beyond holding the teen accountable; they work to find the individuals responsible for supplying alcohol to make sure they are held accountable, as well. “We believe that parents are the key to educating young people about the dangers associated with underage drinking and help them find effective ways to resist peer pressure,” Whitehead said. 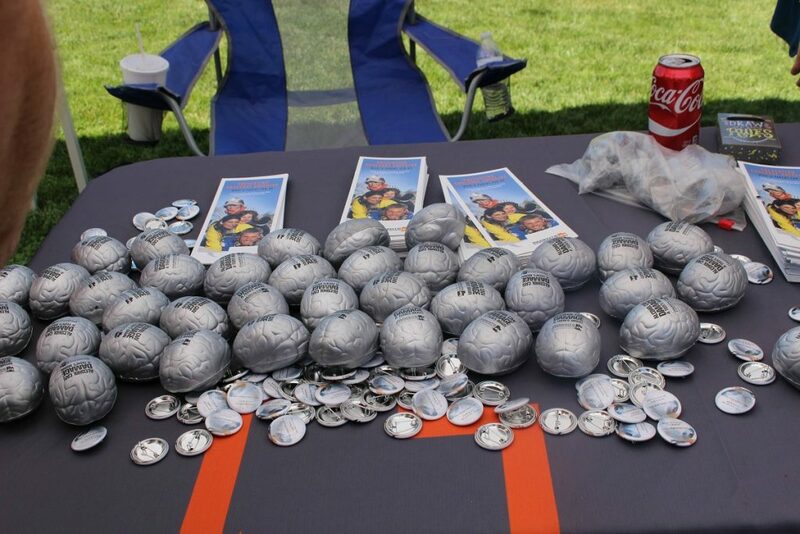 Custom designed posters were also displayed during the event and provided by Intermountain Healthcare with messages designed to remind parents of the harmful effects of underage drinking and what can be done to prevent it. Guest speaker, Dr. Marty Nygaard, a pediatrician at Intermountain Healthcare, addressed the risk of neurological damage that can be caused by underage drinking. “Young brains are rapidly developing, and alcohol can have a great negative impact on the short-term and long-term growth and makes them more susceptible to dependence than in older patients,” Nygaard said. Dixie State University joined the effort to address underage drinking at the college level, represented by Del Beatty, assistant vice president and dean of students at DSU. “There’s a direct correlation there,” Beatty said. The key leaders involved in the coalition met Thursday morning before the press conference, and the group started going over the resources that could be pulled together to support the initiative, Pulsipher said. The sheriff also said the educational aspect of the program is critical, and parents are the most powerful force in their children’s lives. Being involved in their lives can open the door to communication, and when these teens are confronted with an outside influence that can harm them, they are able to go to their parents and talk to them. “These kids can go to them during these times because the parent connected with them through being involved in their lives,” Pulsipher said. Teresa Willie spoke of the community spirit, cooperation and help that surrounds the area as she addressed the crowd Thursday. 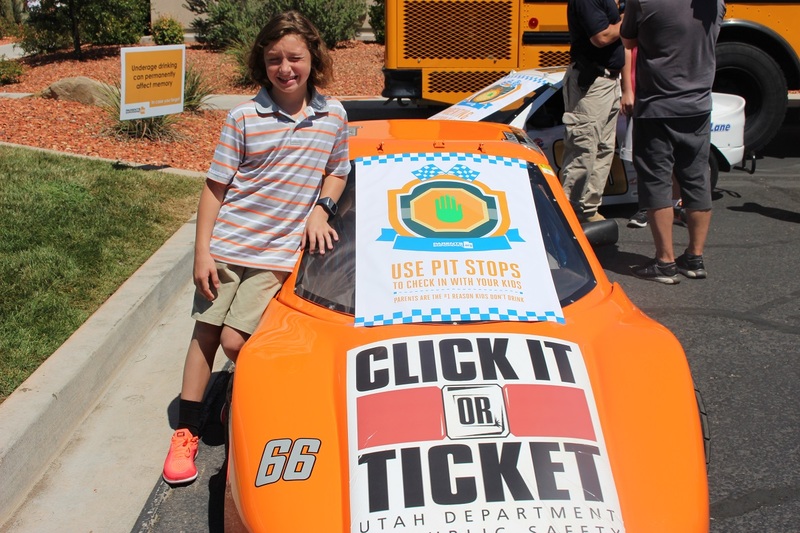 “Utah’s Dixie has a unique climate, and all of the community partners coming together to create a healthy safe environment for Washington County’s youth and is something that is not necessarily a trend that is found in other communities,” she said. Willie is a licensed prevention specialist for Southwest Behavioral Health and is also involved in the Parents Empowered initiative. More information can be found at the Parents Empowered website.